Millie Grant is an emerging textile designer based in Melbourne. She graduated from Bachelor Textile Design RMIT University in 2015. As part of her studies, Millie completed an international exchange program at Nottingham Trent University in the UK. Here Millie was exposed to the textile industry on an international level, winning ‘best designs’ for an industry partnership award brief with British upholstery company Arlo & Jacob. Millie also has a history of Fine Arts studied at Monash University in 2011. With special knowledge of woven, printed and computer aided textile design, Millie’s work has a versatility that allows her to adapt to commercial, innovative or research focused environments. When Millie is designing, she is inspired by the natural world, often reflecting this through the aesthetics, materials and processes of her final outcomes. 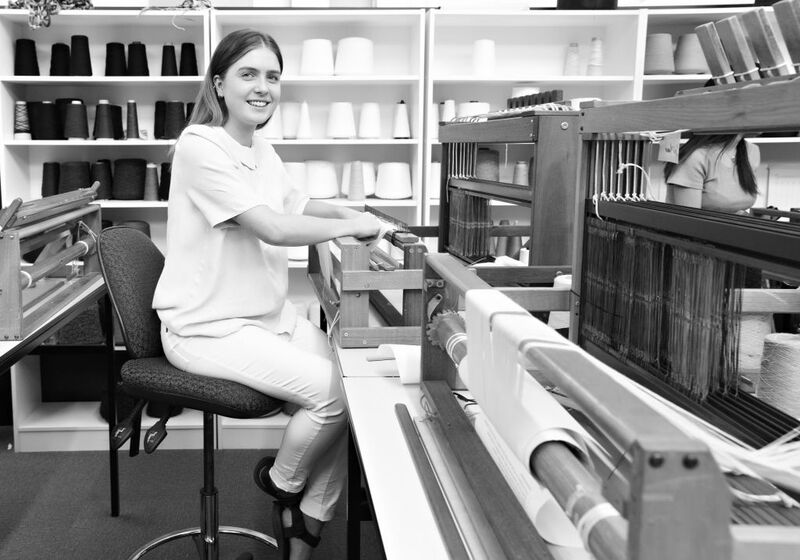 Millie is currently freelance designing for Australian bed linen company Interfab.